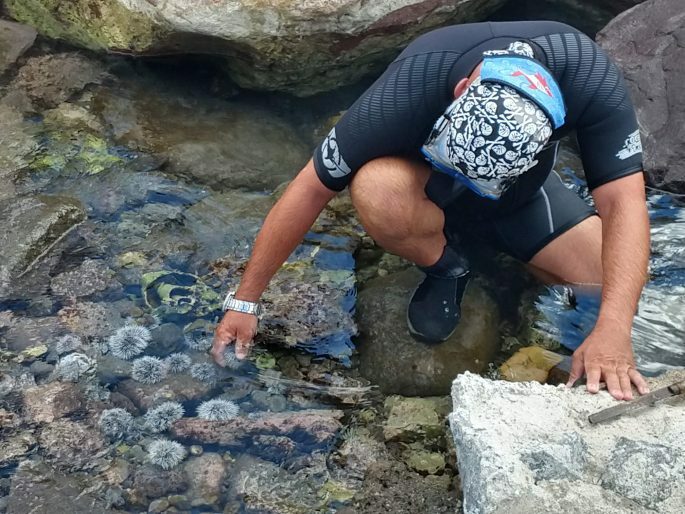 Caribbean Netherlands Science Institute and St. Eustatius National Parks Foundation are working with Alwin Hylkema from Van Hall Larenstein University to conduct a pilot project to restore the population of Diadema sp in Statian waters. This extremely important reef herbivore, simply called ‘Sea Urchin’, suffered a drastic drop in population due to widespread disease in the 1980s. A sea urchin’s diet is algae. 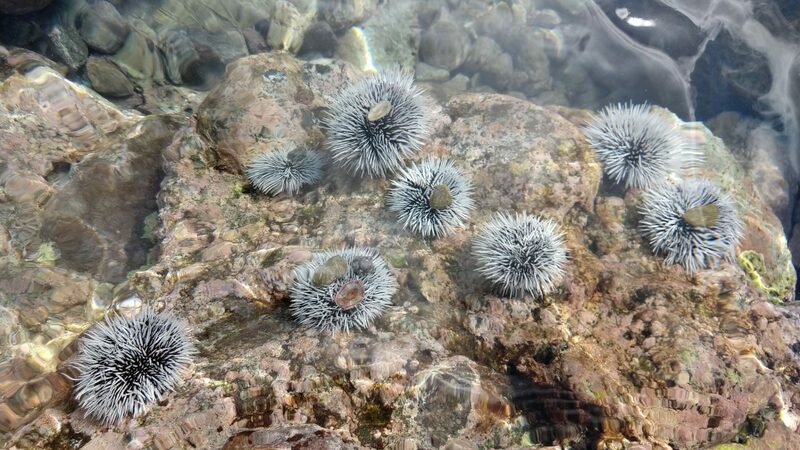 Therefore without healthy populations of urchins, the fast-growing algae have no resistance as they claim the space on the reef needed for baby corals to start growing. Experiments have begun, within the Northern Reserve, to initiate a new population in that area. 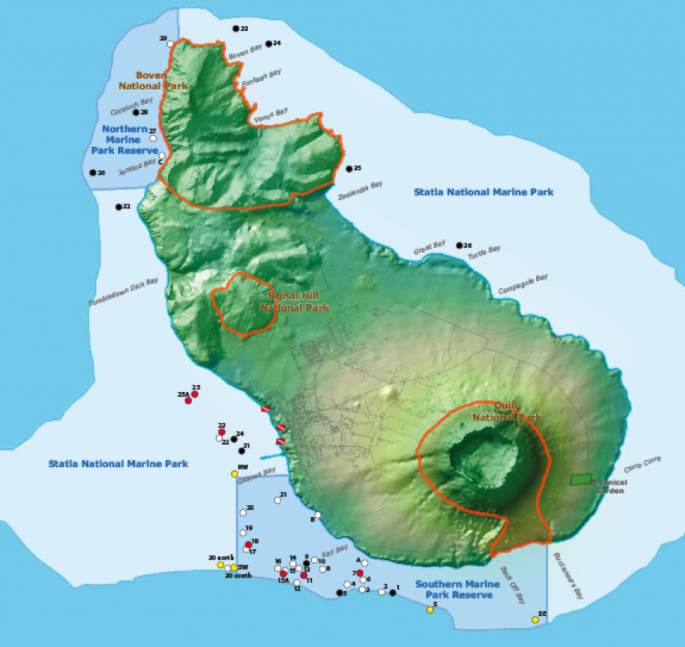 The founding specimens were retrieved from other areas within the Marine Park that have large enough populations. 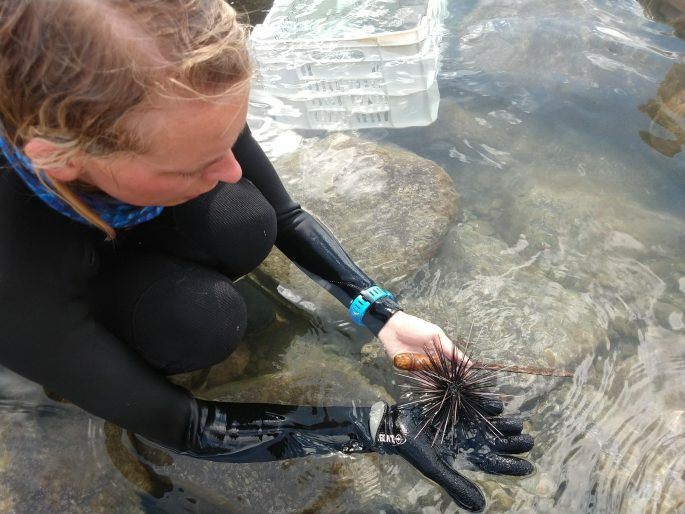 Diadema were among the 600+ sea urchins relocated by the STENAPA marine team in a two-day operation from an area earmarked for erosion prevention measures. The area between ‘baby beach’ and the boardwalk was badly eroded in the past year. The addition of boulders was delayed until the sea urchins were placed out of harm’s way. The urchins and other marine life will once again recolonize the area after the activities have ceased.